Interesting Fact: The Schipperke is a Belgian breed that dates back several hundred years. Originally sheep herders, they were later used as a ratter on barges. Schipperke means “little captain” in Flemish. Appearance: This distinctive dog is small with a thick sloping body, typically with a docked tail in the US. They have small eyes, erect ears, and a foxlike face. Their dense coat features a large ruff of fur around the neck and a strip of hair trailing toward the rear. Their double coat is either black or blonde. 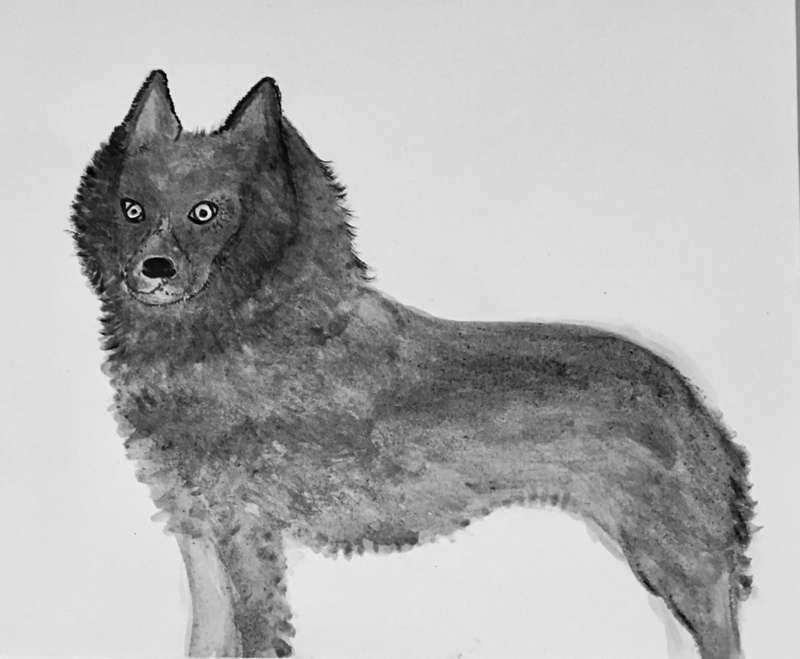 Personality: The Schipperke is very curious, active and alert. This pup wants to be involved in all family activities, but is also very independent, following his own interests. Highly intelligent, this dog needs activity to stay occupied to prevent excessive barking or destructive chewing or digging. Schipperkes are excellent watch dogs, who happily alert bark and are suspicious of strangers. Common Health Problems: Usually a hardy and long-lived breed, occasional health issues include eye problems (cataracts and progressive retinal atrophy), hip dysplasia, Legg-Calve-Perthes disease or hypothyroidism. Best Match: The Schipperke will do well with an active household that will include him whether they are hiking or watching a movie. Good with children, this always busy dog thrives on athletic activities and interactive games. Agility courses and food dispensing toys are right up their alley. For outdoor time it’s best to keep this dog on a leash or in a fenced yard. Due to their creativity and propensity to chase small animals, they may get over a fence so are best supervised. The Schipperke pet parent doesn’t mind a heavy seasonal shedder who needs brushing two or three times a week. Twice yearly the entire soft undercoat will shed and they must be brushed daily during this period. Not the best match for a first-time dog owner, Schipperkes have a strong temperament and can be challenging to train. Featured Adoptable: Evelyn is a 10 lb, 8-year-old Schipperke/Terrier mix active on the go dog. Adjusting to city life, she is a fast learner and loves daily walks, small forest hikes or trips, and the beach. She also loves other dogs and gets along with the young cat in her foster home. She is confident, sweet, full of life, and ready for her forever family! To meet her, contact the Pixie Project at info@pixieproject.org. Megan Noes lives in New York City, with her husband, Jacob, Frenchie Bulldog, Nono, and a revolving door of foster kittens. She works for a major animal welfare organization and loves her former home in the Pacific Northwest. Posted in Breed Spotlight, Life with Pets, Matchmaker, Rescue Me!, Feature and tagged with Dogs, Breed Spotlight. October 1, 2018 by Spot Magazine. Interesting Fact: One motivator for his hybrid mix was to reduce the risk of back problems that can be occur in Dachshunds. Appearance: These little ones can have coats that range from short and smooth to medium, long or wiry. The coat may be solid or bi-colored. You’ll see a variety of colors in Chiweenies, including a solid black, chocolate, red or fawn or combinations such as black and tan, chocolate and red and fawn and tan. They’re built long and low to the ground, but not as elongated as a purebred Doxie. They can sport the prick ears of a Chihuahua or the drop ears of a Dachshund, and may have a Chihuahua’s domed head or a more pointed snout like a Chihuahua or pointed snout like a Dachshund. Personality: Temperament is partially inherited for all dogs, so if you’re adopting a puppy from the shelter, try to meet the mom! Chiweenies are happy with their people and a true lap dog in size and preference. They like to cuddle and are affectionate and devoted. This can go a little too far and they can be jealous when their person interacts with other people or pets, although many prove to be easy-going and sociable. This breed tends to be bold and take charge. Although small, they still make good guard dogs as they will bark at disturbances. Common Health Problems: Chiweenies can be prone to hypoglycemia. Dental disease can also be a concern, particularly in the dogs whose heads and faces more resemble a Chihuahua. And while they’re bred to have fewer back problems than Doxies, some Chiweenies can develop degenerative disc disease. To manage this risk, try to keep them from jumping. They can run and play to their hearts’ content, but it’s wise to add some safety to their routine, especially around obstacles like stairs and beds. Best Match: As both breeds are prone to barking, Chiweenies can be more vocal than is practical for apartment living. Because of their tendency to develop strong bonds with just one or two people, they’re not the first choice for larger families, and they should always be supervised around small children. Their best match is an adopter who will enjoy taking them for about an hour of daily activity such as hiking, swimming or just a walk or jog. Activity can help manage weight, and being overweight can increase the risk of back problems or other health issues. The Chiweenie can make excellent travel companions as they are small in size and love to be with their people. Featured Adoptable: Snickers is an active, sassy Chiweenie with a big personality! She is a 2 year old young lady who loves cats, dogs and kids over 10 years old. She also enjoys car rides, cuddling, and playing. She wants to play with toys and play tag with other dogs. She’s at a rescue in Aloha, Oregon, and is looking forward to joining a pack soon! Visit http://sshcr.rescueme.org or contact (503) 459-7186. Posted in Breed Spotlight, Matchmaker, Life with Pets, Feature and tagged with Breed Spotlight, Dogs, Adoptable. 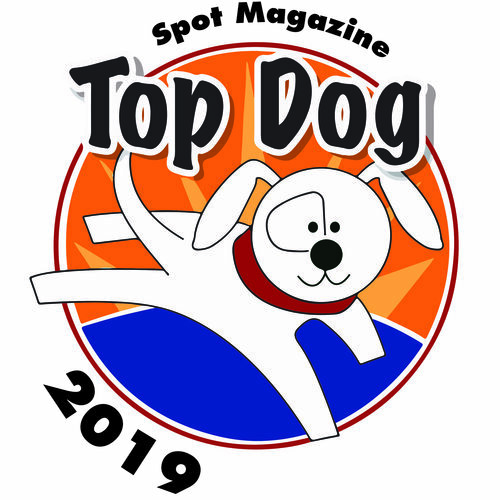 August 1, 2018 by Spot Magazine. Interesting Facts: The Goldendoodle — or Groodle — is referred to as a “designer dog” or breed hybrid. 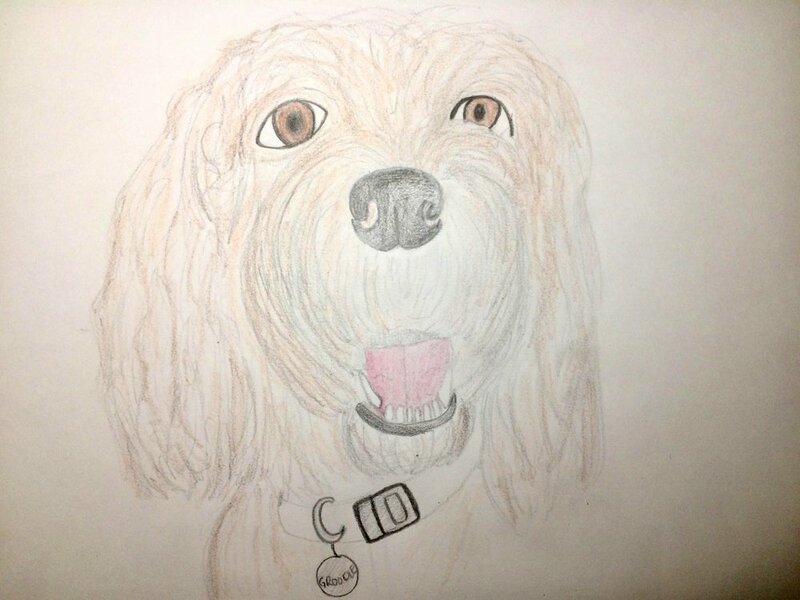 Developed in the mid-1990s, they are among various “doodle” creations, the first of such mixes being the Cockapoo (Cocker Spaniel/Poodle.) While there’s no guarantee you’ll get the best traits or two breeds, breeders hoped to get the intelligence of the Poodle and the loving nature of the Golden Retriever. While they are not actually hypoallergenic, many adopters seek them out for their reputation as a good dog for families with allergies. Goldendoodles will shed less and have less skin dander than many other breeds, but this doesn’t eliminate the actual cause of allergies in humans, which is a particular protein shed from the dog’s skin. Appearance: Goldendoodles can vary greatly, even within the same litter. While generally medium-sized with males weighing 50-80 pounds, you’ll see them characterized as standard, medium, miniature and toy, with miniatures weighing 20-45 lbs. Coats vary too, ranging from flat to wavy to tightly curled. Color ranges from cream to red, gold, chocolate, or combined into a merle, phantom, or brindle. Their coats can grow to a bushy eight inches long left unclipped, so they typically need regular brushing and a grooming every 6-8 weeks. Personality: These pups are generally intelligent and friendly. Pet parents describe Groodles as social, gentle, and compatible with children and other pets. They’re typically activity-loving dogs that do best with plenty of physical and mental stimulation. Common Health Problems: There are some cases of hip dysplasia in this breed. As with any potential new family member, talk to your veterinarian and the rescue or adoption agency about any concerns. Best Match: Goldendoodles are social, active dogs who thrive when their families spend a good deal of time with them and provide a minimum of 20-30 minutes of daily exercise. Doodles have done well as guide dogs, in service or therapy, and sniffer dogs. Goldendoodles are considered friendly and trainable matches for first-time dog parents. Few Goldendoodles come up for adoption and, when they do, are quickly homed. At press time, we found Rowena available at Multnomah County Animal Services. She’s 7 years old and 71 pounds. Look for her at MultCoPets.org. 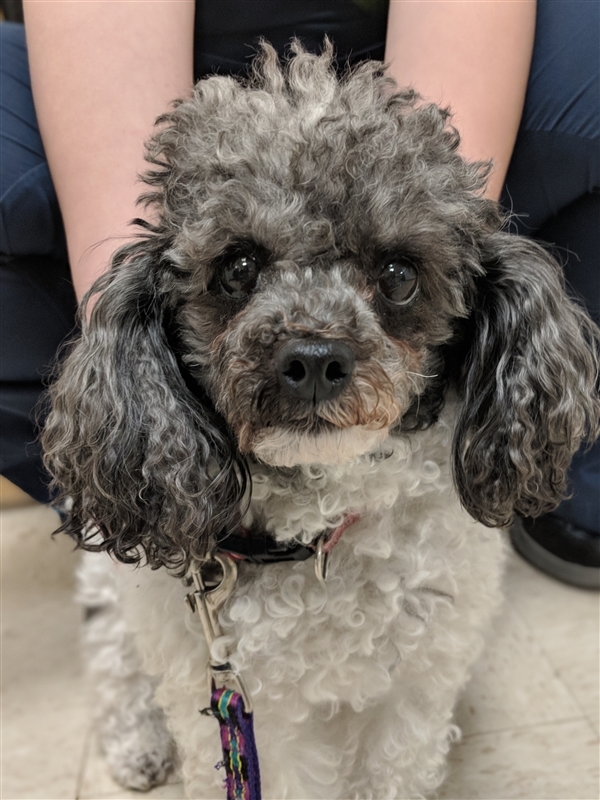 Lilly is a four-year-old Toy Poodle. Weighing about 9 pounds, she’s a loyal pint-sized companion who looks forward to long walks and quiet cuddle time with her new family. Since she’s a bit fearful around young kids, she will do best with adults only or children 12 and older. Meet the lovely Lilly at the Humane Society for SW Washington in Vancouver. Southwesthumane.org. Megan Mahan lives in New York City with her fiance Jacob, Frenchie Bulldog Nono, and the occasional foster dog or litter of foster kittens! She works for a major animal welfare organization and loves her former home in the Pacific Northwest. Posted in Breed Spotlight, Matchmaker, Feature, Animal Welfare and tagged with Breed Spotlight, Dogs, Adoptables. Grooming needs: Very low; low shedding. Interesting Fact: The Italian Greyhound is originally not from Italy, but is believed to have originated in Greece and Turkey more than 2,000 years ago. The breed has often been a symbol of wealth, and appears in many Renaissance paintings. These elegant dogs graced palaces and were given the moniker “Italian Greyhound” by Italian aristocrats who favored them. Appearance: Fine boned and just 7-14 lbs, the Italian Greyhound, or IG, is a smaller version of the Greyhound. Like their counterparts, they are well built for endurance running, with deep chests and long, curved, slender tails that serving as a rudder. Their long graceful neck tapers to a smaller head. They have beautiful almond eyes, and ears that “fly” propeller style, set high with dropped tips. Personality: The IG is known as a “velcro” dog, whose favorite place is their guardian’s lap. This breed was created to be a companion dog (and possibly for hunting small game) and they like to be snuggled right up to their person. They are known to be gentle and affectionate with their owners. They can be shy and high strung, so it’s important to socialize them with other dogs and children. They should be well trained in recall or kept on leash, as they will chase small animals. Traditional Greyhounds are faster than the Italian Greyhound, at 45 and 25 mph respectively, but IGs still typically run 6 mph hour faster than the average dog. Common Health Problems: This exceptionally healthy breed must be safely confined or supervised until fully developed (12-18 months) as they can easily break a leg jumping. Best Match: This affectionate breed often likes to snuggle under the covers and will ask for attention. The ideal home may be with an adult person or couple. Patience is may be needed in housetraining, especially as they may refuse to go outside in inclement weather. Some owners elect to use an indoor potty options. Either way, a sweater or jacket is advised for going out in the cold. This breed can adapt well to apartment living. They need at least one walk per day and time to run. IGs often get daily “zoomies,” flying through the house or yard. Many guardians enjoy doing agility with their IG, and it’s a great way to provide them proper mental and physical exercise. Featured Adoptable: Pookie is an adorable 1.5 year old Boston/Italian Greyhound mix weighing in at just 9 lbs. She is a prim and proper gal who is eager to bond, and have lots of cuddles and playtime! The big city is a bit overwhelming for Pookie, so she will do well in a quieter low-traffic neighborhood. She especially loves hanging out with mellower pups like herself, and having a dog friend around really helps her come out of her shell. She is okay with cats too. She needs a quiet home with another pooch and no kids as she is shy. Once she settles in and after a few play sessions with her new friend, she is eager for more lap time and snuggles. Pookie is eager to find a calm, quiet, loving person or couple to love and snuggle and nap with. Will that be you? To meet Pookie contact The Pixie Project at info@pixieproject.org. 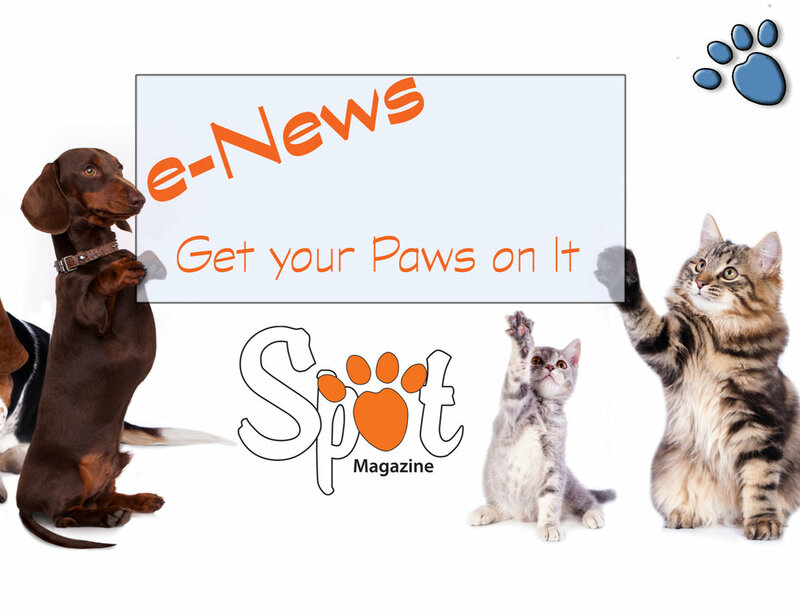 Posted in Matchmaker, Life with Pets, Feature, Breed Spotlight and tagged with Breed Spotlight, Dogs, Adoptables. Interesting Fact: Fire wagons were originally horse drawn, and Dalmatians cleared the path for the horses to travel. The Dalmatians then calmed the horses during the firefighting commotion. 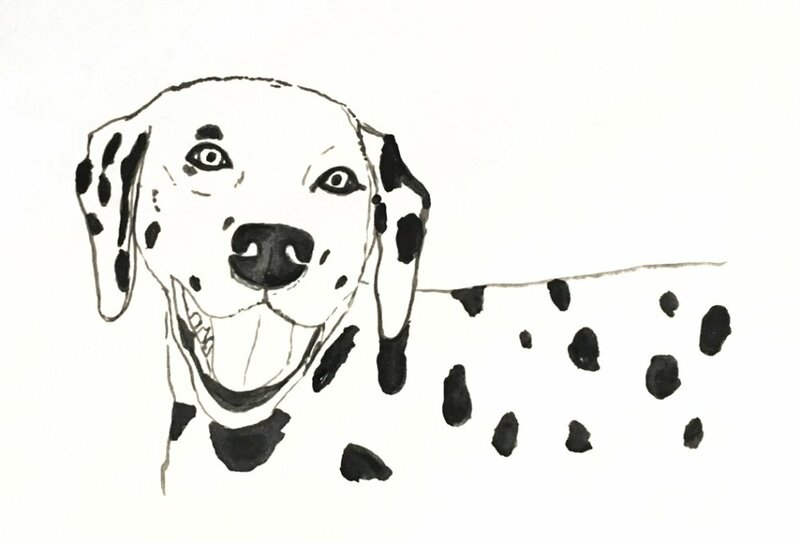 Even today, Dalmatians are often great companions to horses and sometimes seen in firehouses. Appearance: The Dalmatian has a very distinctive look. No two Dalmatians have the same spot patterns. Their short, dense coat is white, with liver or black spots. Their eyes have matching black or brown eyeliner, and their noses are black or brown. They have soft fur with a velvety head and ears. The body’s length from chest to hind end matches the height of this medium-sized dog. The Dal (the breed’s nickname) is athletic and sleek, but solid. Dalmatian puppies are born white and develop their spots at around two weeks. Personality: A well socialized Dal is dignified but outgoing. Their speed, endurance, and athleticism make them a favorite in the show, agility, and obedience rings. They may appear standoffish with new people, but love their family. Owners report they are clownish and keep the family laughing. Dals are reported to be sensitive and affectionate, with a good memory. This intelligent dog enjoys daily mental and physical play and exercise. Common Health Problems: Urinary tract issues such as stones are sometimes seen. About 33 percent of Dalmatians are either deaf or hear out of only one ear. Best Match: A joke about the breed is that they shed at two different times: day and night. Daily brushing can help minimize shedding, and bathing is easy. Dals make great jogging partners, and want at least 40 minutes of exercise daily. They want their people involved in their play. Like many breeds, if confined too much, especially without companionship of people, the Dal can display destructive behaviors and barking. A person who is inactive or away from home many hours a day is not a good match. Featured Adoptable: Sadie is a 4-year-old Dalmatian/American Bulldog mix. She is a silly girl who loves to be with her people. Sweet and loving, Sadie just wants to cuddle. She doesn't need a lot of exercise, but could probably be motivated to go, just to be with you. Sadie does great in the car and is good on leash. She is equally good at hiking and laying around the house. While she hasn’t met an adult she doesn't like, she is uncertain about small children. She is crate trained, so she will not get into mischief when you’re not home. Sadie weighs 55 pounds. She is spayed, and current on vaccinations. She is currently in Gold Bar, Washington. Her adoption fee is $100. To learn more or to meet Sadie, please complete an adoption inquiry form at dalmatianrescueofpugetsound.com/adopt. Posted in Breed Spotlight, Feature, Life with Pets, Matchmaker and tagged with Breed Spotlight, Adoptable, Dogs. October 1, 2017 by Spot Magazine. Interesting fact: This athletic breed is capable of jumping more than 3 vertical feet. The American Bulldog was bred to be a “catch dog,” meaning to chase, catch and bring down livestock. Appearance: The American Bulldog is stocky and muscular with a large head. They are 20-28 inches tall at the withers (ridge between shoulder bones). There are two type of American Bulldogs, Standard and Classic, and mixes within those types. Each type can vary in appearance, such as the length of legs or muzzle, but both types are taller than their cousin, the English Bulldog. They have a short, smooth coat, which is often white with patches of brindle, red or black. Personality: American Bulldogs tend to bond closely with their families and are known to be emotional and attention seeking. They are confident and sociable and enjoy an active lifestyle. This breed was created as a working farm dog that would drive and catch hogs and cattle, as well as, guard the property. Early socialization toward other pets and children, or awareness of individual propensities, is very important. The American Bulldog can make a great pet when provided with regular physical and mental exercise. Agility, nose work, or running can help meet the needs of this athletic pup. Along variations in appearance, different types can have different exercise needs. Common Health Problems: This is a generally healthy breed, but may see a group of nervous system disorders called neuronal ceroid lipofuscinosis, ACL tears, hip dysplasia or cherry eye are also seen. Best Match: The best pet parent for an American Bulldog wants to spend a lot of time with their dog. This breed needs a guardian who can appreciate a drooler, as well as a large pup who considers himself a lap dog. The American Bulldog tends to love his people and be aloof with strangers. His ideal family will happily provide plenty of affection and exercise. Contact Nagy at the Tillamook Animal Shelter 503-812-0105, or learn more at tillamookanimalshelter.org. 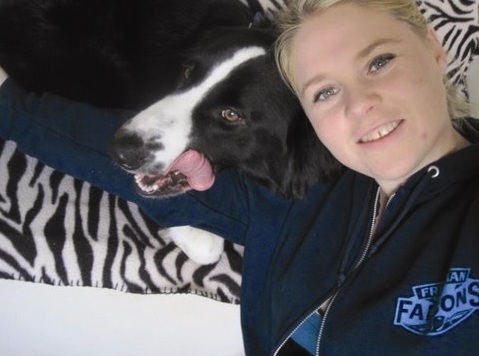 Megan Mahan lives in Eugene with her boyfriend Jacob, their adopted Lab Maddie, many saltwater fish and two miniature Silver Appleyard Ducks, Louie and Olive. Posted in Breed Spotlight, Feature, Life with Pets, Matchmaker and tagged with Dogs, Breed Spotlight, Adoptable. August 1, 2017 by Spot Magazine. Interesting fact: Great Pyrenees are centuries-old guard dogs believed to have protected flocks of sheep. In medieval France, they served as fortress guards and were also kept in groups by chateau owners. Appearance: This is a large, majestic looking dog with a stunning, thick white coat. They have brown, almond-shaped eyes, a black nose and drop (floppy) ears. They range 85-100 lbs, and are slightly longer than they are tall. Their fluffy, weather-resistant coat gives the impression they have a heavier bone structure than they do. They are powerful and agile. They uniquely have double dew claws on their hind legs. Personality: The Great Pyrenees or “Pyrs” are devoted to their people but wary of strangers. They are self-reliant and intelligent, and can be seen as stubborn. This willfulness is important for a working dog that traditionally spent significant time alone with his flock and needed the ability to make decisions based on his own experience. Pyrenees are calm, affectionate and gentle with family members. They enjoy a consistent and predictable life with quiet time to rest. Common Health Problems: Hip Dysplasia, Luxating Patella and Congenital Heart Disease are concerns, but overall this is a hardy breed. Best Match: Pyrs can adapt to many types of environments, but they do take up a lot of space. They do not do well in hot weather and enjoy the cold and snow. The Pyr’s natural guarding instinct will extend to the world if given the chance. Outdoors they need to be on leash or in fenced areas. Though their grooming needs are reasonable, about an hour’s weekly brushing, they shed heavily year round. Their best match fur-parents will be okay with not wearing black! This loving breed makes a wonderful pet for the right guardians. Featured Adoptable: Bigalow is a very sweet, easygoing 1-1/2-year-old Great Pyrenees looking for a family to call his own. He gets along with other dogs and kids as well, and his foster mom says he is a little too interested in cats. He is a loving gentleman who will greet you with a tail wag and a smile! He really loves attention and affection and wants a family who isn't gone too much of the day. To learn more or to meet Bigalow, contact: info@gprescuesociety.org, National Great Pyrenees Rescue. He is in Junction City, Oregon. Posted in Breed Spotlight, Matchmaker, Life with Pets, Feature and tagged with Breed Spotlight, Dogs, Adoptables. June 1, 2017 by Spot Magazine. Dachshunds comes in three sizes: miniature, “tweenie,” and standard. The breed standard for miniature is: 1-11 lbs, 5-6” tall. Standards run 11-32 lbs, 8-11” tall. Unofficially, “tweenie” varieties — between mini and standard in size are typically 11-16 lbs. As a pet, tweenies appeal to those who want a Doxie that’s not too heavy, and not too fragile. Coat length and type varies, and Dachshunds can be either smooth (short) coated, long- or wire-haired. Some have bent forelegs like Basset Hounds, and their feet are typically large for their frames. They have a long muzzle and almond shaped eyes. Personality: The Dachshund is among the most popular family pets. The breed has a cheerful nature, yet is also known to often form a strong bond with one person and act aloof towards others. This breed has a reputation for being stubborn and mischievous, and can be a challenge to train. However, with a dedicated guardian they are wonderful companions with excellent temperaments. Likely due to breeding practices, many breed aficionados note differences in personality between the long-, short- and wirehaired varieties. The suggestion is that smooth and long-haired dogs tend to be quieter and more sensitive than their wire-haired counterparts. Common Health Problems: Dachshunds need to be fed correctly to prevent them from becoming obese. They are prone to intervertebral disk disease (and injury) and vision issues. Best Match: A patient, possibly experienced dog owner is a good fit for a Dachshund. They can be chow hounds (read: beggars) and need someone who gives them plenty of attention. Depending on the coat, grooming needs vary: for wire-haireds, the coat should be plucked twice weekly; long-haired Doxies should be brushed or combed daily. Rocky is 11 months old, 12 lbs, and in care of Family Dogs New Life Shelter, 903-771-5596 or bark@familydogsnewlife.org. Posted in Feature, Breed Spotlight, Matchmaker and tagged with Breed Spotlight, Dogs, Adoptable. Interesting Fact: At just a foot tall, the Pembroke Welsh Corgi is the smallest of the working breeds. The name Corgi is believed to have come from the Welsh “cor,” meaning dwarf, and “ci” (gi) meaning dog. Appearance: This athletic dog is short and stalky — almost twice as long as he is tall. They have large prick (upright) ears and pointy muzzles, which lend to a fox-like appearance. Their dark eyes are beautifully rimmed in black. Their soft, thick coat comes in red, sable, fawn or black and tan, often with white markings. Corgis are born with short or missing tails, or are typically docked. This has been done historically so their tails do not get in the way of herding work. Personality: Spirited and athletic, Corgis are called by many breed enthusiasts “big dogs on short legs.” S/He is smart, and generally a quick learner who trains well, but can be stubborn. Corgis are fun-loving and playful, and very loyal to their people. Common Health Problems: Corgis need regular exercise and can become obese without it. Hip dysplasia and epilepsy are sometimes seen. Best Match: If a Corgi gets moderate exercise and time with their person(s) they are adaptable and great companions. A Corgi will enjoy herding, obedience, fetch or other organized energy outlets. As a working breed, they need mental and physical stimulation, and access to the outdoors. Some Corgis have a propensity to bark. Featured Adoptable: Riley is a loving, affectionate little boy. He will talk to you when he gives hugs. He gets along with dogs, cats and small kids. Leash trained, he is mostly house broken. He LOVES stuffed animals, and plays with his foster kids, cat and dog all the time. He will make a great addition to any family. He also likes baths! He is approximately 10” tall and weighs 17 lbs. He would love a yard to play in, and a friend to play with. When you call, he comes! He loves to cuddle and have his ears and belly rubbed. Riley takes 1/2 a pill a day for Pemphigus Foliaceus, an immune disease. He will most likely be on prednisone for life. To meet this special boy, contact Operation Safe Canine Animal Rescue in Clackamas, 503-490-7038 or oscarsavesdogs@gmail.com. Posted in Breed Spotlight, Feature, Life with Pets, Matchmaker and tagged with Dogs, Breed Spotlight, Adoptables. August 1, 2016 by Spot Magazine. Grooming needs: Heavy shedder; regular brushing required. Environment: Inside with family. Regular outdoor exercise. Climate controlled against high heat. Interesting Fact: The Bernese Mountain Dog is one of the four varieties of Swiss Mountain Dog. Out of the four, the “Berner” is the only breed with a long, silky coat. The BMD thrives in cold weather, and is a working dog. The breed worked in Switzerland as a watchful farm dog and farmer’s companion. Unlike some working dogs, they were not built for herding large range cattle or other livestock. They may have been used to pull carts. Appearance: The Berner has a happy expression, expressive eyes and pendant ears. He is slightly longer than he is tall, and is a sturdy, well-built dog with a deep chest. The coat is long and silky with a bushy tail, and like the other Swiss breeds, they are tricolored: black, rust and white. They have a beautiful coat and striking appearance. Personality: This is an intelligent, strong, affectionate dog. Today Berners participate in a variety of activities such as obedience, carting, agility and therapy work. This versatile breed makes a great family dog as long as they are given adequate exercise. The Bernese Mountain Dog has a steady temperament and loves to be a part of the family/household. They tend to be calm and patient, and do well with other pets. Like other breeds, if not well socialized as puppies, they may be shy with strangers. This large breed may consider themselves lap dogs, and are very loving with their people. Due to their background, Berners are also watchful and alert. Best Match: Couch potatoes need not apply: the Bernese Mountain Dog loves to romp in the snow, walk in the fields, and engage in daily physical activity. Double-coated, Berners tend to shed considerably, especially during spring and fall, and require frequent brushing. When the undercoat is shed, the long, outer guard coat keeps the dog cool. If you’re not a fan of dog hair in the home, this may not be a match for you. This versatile breed is a great fit for many types of pet parents, as long as they get the attention and exercise they need. Featured Adoptable:: Hippie is a senior Bernese Mountain Dog / Hound mix who is blind. He is a sweet, friendly, easygoing boy as soon as he can identify you by scent and sound. He likes walks, and just needs a little help steering around things he might bump into. He’s a favorite at the shelter. To meet Hippie, contact Clatsop County Animal Control at 503-861-7387, 1315 SE 19th St in Warrenton, OR, or email lindadygert@gmail.com..
Posted in Breed Spotlight, Feature, Life with Pets, Matchmaker, Animal Welfare and tagged with Breed Spotlight, Dogs, Adoptable. June 1, 2016 by Spot Magazine.